While a few million people experience heel pain each year, runners are at a higher risk of developing plantar fasciitis than anyone else. This is because the plantar fascia must work harder, bearing weight and moving to support the foot and the entire body. So the question is, how to treat plantar fasciitis in runners? 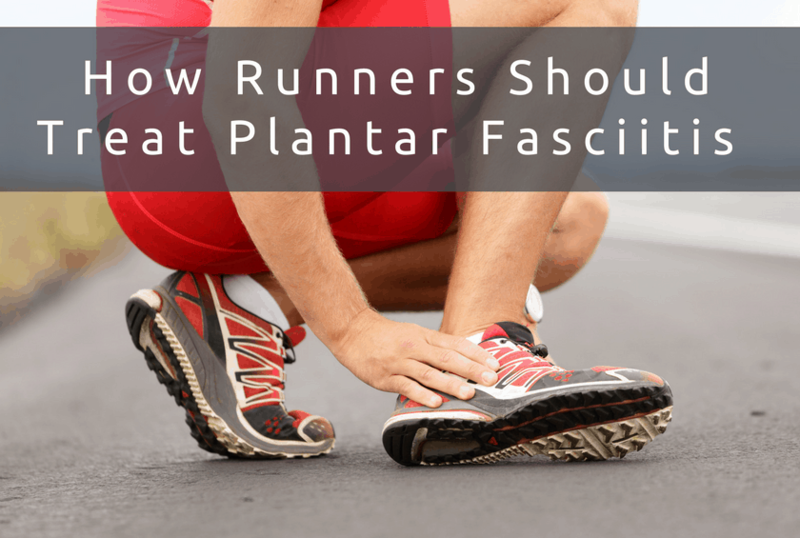 Why Do Runners Develop Plantar Fasciitis? According to the Lower Extremity Review, plantar fasciitis is the result of a combination of alignment issues, improper technique, and overuse. Runners who start out making errors in their running form are more likely to sustain an injury than those who use proper technique. Running on a challenging surface can also cause stress ligaments and muscles. But starting out with your body out of alignment or with inflexible tendons and ligaments is just as dangerous. Unfortunately, many people begin running without guidance and without accommodating their bodies’ needs. Ultimately, a combination of factors influences your chances of developing plantar fasciitis. Everything from low estrogen levels to a high body mass index (BMI) can put a runner at risk, and both men and women and almost equally susceptible. Therefore, it’s important to recognize symptoms of plantar fasciitis and know how to treat the condition without surgical intervention. The primary recommendation for how to treat plantar fasciitis in runners is through nonoperative methods. While surgery can sometimes relieve pain and prevent it from coming back, most podiatrists only recommend surgery as a last resort. In fact, Podiatry Today notes, most cases of plantar fasciitis resolve with nonsurgical treatment in anywhere from 46 to 100 percent of cases. Heel pain is common, but how can you tell whether your symptoms indicate plantar fasciitis or another problem? Mercola lists the symptoms you can look for at home, plus what your doctor will check to make a diagnosis. Thankfully for avid runners, treating plantar fasciitis doesn’t have to take you off track or put you in the hospital. Detecting the condition early is helpful for treating it before it becomes worse, but even severe pain can subside with at-home treatment. The first step in addressing any pain is rest. This is especially difficult if you enjoy running long distances daily but taking time to rest is crucial for both your recovery and prevention of more serious injuries. Podiatry Today recommends freezing water in a plastic bottle for a do-it-yourself ice pack. This way, you can roll the bottom of your foot over the bottle. Aim for applying ice for at least 20 minutes, they note, for maximum anti-inflammatory effects. Although products exist for stretching the plantar fascia, Podiatry Today cites studies that found a non-weight bearing stretch was more effective than any device or using a wall. The plantar fascia does not have elastic fibers, they explain, so trying to stretch by removing support or pressing against a solid surface can worsen the injury. Therefore, stretching the plantar fascia by hand is preferable to wall stretches or using commercial devices. Stretching three times per day for about five minutes is optimal, but you should start with a shorter stretch to suit your pain tolerance. Most runners are serious about their footwear, but that doesn’t mean you’re wearing the right shoes for your feet. Consider the height of your arches, your natural gait, and the width of your foot to choose a shoe that’s comfortable and delivers the support your feet need. Many plantar fasciitis sufferers turn to orthotics before looking at their running shoes for evidence of problems. For example, if you have a high arch but typically run in minimalist type shoes, you’re not adequately supporting your foot or the plantar fascia. If you’re wearing running shoes that don’t offer enough support for your ligaments, using orthotic inserts can help position you correctly. This results in less pain and better results as you run. Your podiatrist may recommend orthotics, or you can seek out a good fit on your own. The key to finding the right orthotics for your needs is the same as with choosing running shoes. Every foot is different, so in addition to sizing and cushioning considerations, look at arch height, heel support, and overall durability depending on how often and how far you run. Alternatively, plantar fasciitis taping may prove a helpful first step. Taping your feet helps support the plantar fascia and partially immobilize it, preventing overstrain and injury from excessive movement. Studies show that plantar fasciitis taping often reduces pain and allows athletes to continue running while treating the condition. No runner wants to consider surgery as treatment for any condition, but in some cases, surgical treatment of plantar fasciitis in runners makes sense. One study in Foot and Ankle International tracked 43 patients who underwent surgery to partially release the plantar fascia and documented their outcomes. All the patients in the study did not respond to non-surgical methods of pain relief, and most had dealt with the condition for anywhere from one year to 11 years. Post-surgery, 75.6 percent of the patients stated that their heels were not painful or mildly painful, reducing the mean pain score of the participants overall. The study found that 48.8 percent of patients were satisfied with their post-surgical outcomes, leading the researchers to recommend that only those who fail to respond to nonsurgical treatments should undergo surgery. However, this is good news for runners who need to know how to treat plantar fasciitis without surgical means.